Pakistan President Asif Ali Zardari insulted in Britain when an unidentified man threw shoes pointing towards him during a public meeting. The Telegraph Sunday reported that Zardari, who has been criticised for visiting Britain while there were floods in his country, was in the middle of his speech when an elderly man in the crowd hurled both shoes at him. 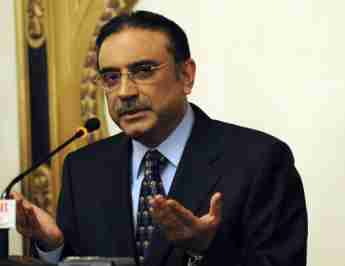 While talking to the British daily, Zardari had dismissed claims that he should have stayed at home. He said that the visit had resulted in the floods receiving far more international attention than they might otherwise have done.